Hello if you're a new visitor to my blog via the lovely Beth at Plum and June and her 2013 Let's Get Acquainted New Blogger Blog Hop- try saying that fast after a glass of wine! So, let me tell you a bit about me. As it says over on the left there, I am Mum to a cheeky 4 year old girl, living in middle England, sunny Leicestershire to be precise, in the borough of Charnwood- which edges onto the National Forest, and the city of Leicester. 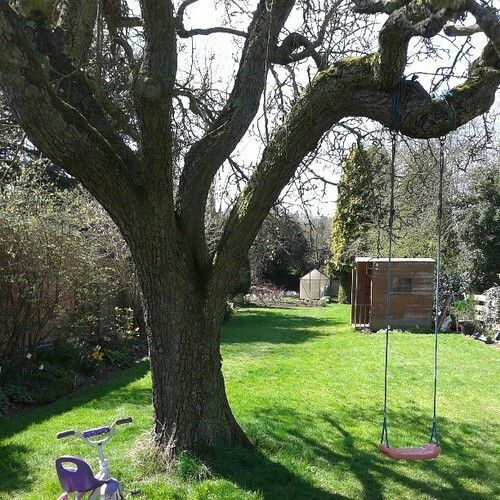 My blogging has been a bit of an odd mix of sewing and decorating for the last few months, as we moved to a wreck of a house, with a lovely garden, but more decorating than you can shake a stick at! I first decided to try quilting about 2 and a half years ago, I had the urge to create, and wanted to make a quilt for my little girl, so I started this hexy quilt. I am now nearly 2 and a half years into it, and I just need to attach the hexagon shaped binding, just! Most recently I have entered my first quilt competition. 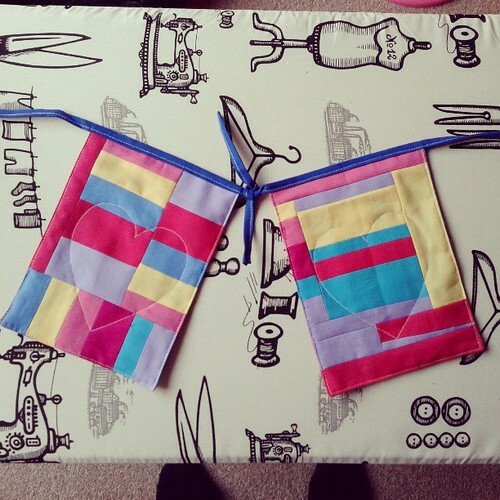 And made some flags for the To Boston With Love campaign. Awww, thanks for the shoutout Ange!!! 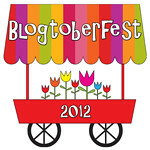 Great to see you in this blog hop Ange and hope lots of people 'find' you. I love your quilt for the quilt competition! I hope it does well. Yeah yeah, just remember I knew you before you were famous! Very fun. Wow, your first quilt was/is a hexie!! Brave women. It has been great getting to know you! That chevron quilt is gorgeous! I think you have a fantastic sense of color--I envy that. I always seem to second-guess my color choices. Also, you've inspired me to dig out my hexie quilt and work on it. I am not nearly as far along as you are...maybe in a few more YEARS. Love your hexy quilt! One day, one day... Ooh, that is a very pretty stack of fabric. Is is all for one project, or were you just stashing. Haha, I love it when someone asks me what I'm buying fabric for - 90% of the time I'm stashing. Can't really say so I can take it home and stroke it though, can I? Love the chevron quilt, the colours are a great choice. The stack of fabric is lush! Wow - I love your quilts!Great job. I saw a hexie quilt the other day and the lady didn't do a hexie binding. She machine appliqued the quilt onto a border/backing. It looked pretty awesome. It made the hexies look like they were floating and then all she had to do was a straight binding. Good luck with your quilt. Have fun! I adore the hexy block at the top of the post!!! I love the hexies. They are one of those things I admire, and will do small projects with, but can't imagine having the patience for a whole quilt. Ange! I love your hexie quilt! I am so impressed that you started there - they still make me nervous! Love your hexies! Can't wait to see those done. Good luck on your contest entry! Really great post! Those hexies are so sweet and I look forward to seeing it finished. Would love to get to know a real person like you, so I'll be coming back often. Thanks! Good to know that I'm not the only one not finishing my first quilt very fast... The hexies look lovely though!! Congrats on entering your first competition! Exciting. Nice meeting you through the blog hop! Good to meet you. I love EPP especially classic hexies. I made a pillow cover earlier this year with hexies and absolutely love it. So nice to meet you! Your hexies are so fun and what beautiful colors! Glad you entered a quilt show....great quilt! 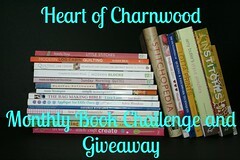 Loved reading your post, and looking through your blog! That hexie quilt rocks!! I can see why it took so long! I'm really loving that star block at the top of this post! I really enjoyed checking out your Completed 2012 page. I'm a big fan of more than one crafty medium too so it's always nice to know some quilters like other projects too :) Sometimes we all just need a little yarn, am I right!? Best of luck in the competition! I'm inspired by your hexies. There's a hexie project in my future yet - I just know it. 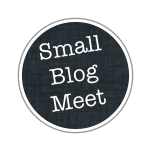 Hi Ange, Nice to meet you - I am in the blog hop too. I really like your competition quilt and also your garden swing! Hello Ange! Wow on your hexagon quilt! I can see why it's taken so long! Good luck with the competition. Your slab-pieced-and-cut-up-solids style is so lovely and distinctive. Good luck with your competition quilt! Its color scheme is so cool and soothing, but once you look at the design it is full of interesting hard edges. Is it a real-life competition, or an online one? Find time and finish that hexies!!! Hahaha..they look so nice! The modern chevron quilt is lovely! Lovely projects! Wish you luck with those hexies - they look lovely! 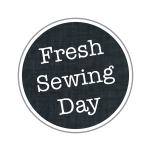 I'm always in for pretty fabric! Thanks for sharing - I'll be back to visit! Who doesn't love seeing fabric, especially when it's all summery like those reds and yellows! Give us more, closer shots! Your quilts are lovely. Good luck with your competition! Hi, Ange! i always enjoy reading your blog and it's nice to find out more about you. That first block is beautiful! I love the look of that chevron quilt! I'm off to read that earlier post! Great to meet another UK blogger and well done on helping to set up the Modern QG. I love your star block and the hexie quilt is just gorgeous..not sure I would have the patience for something like that! Love those colorful dots and stripes fabrics! 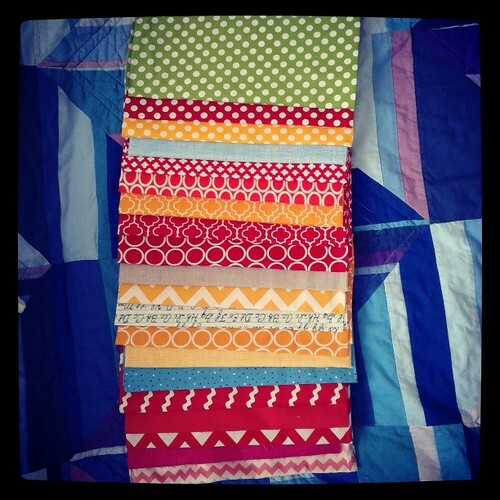 Really love your hexie quilt, and good on you for doing the hexie-shaped binding. Your chevron quilt is absolutely gorgeous! Good luck with the competition, and good for you for entering!! I love that top quilt block, thanks for having us all over to visit! Thank you for sharing so much of yourself. I am amazed at your hexie quilt! Can't wait to see it complete with binding. Great hexies! I want to start a hexie quilt so badly, but it seems like so, so much work, and I'm not sure if I'm okay with not finishing it for a couple of years, haha :) Awesome work!! Wow, that hexi quilt was taking on quite a challenge for your first project! I have not braved any hexi's yet... But I was inspired to make my first quilt for my daughter as well! Glad to be a new follower from the blog hop, because I like to get to know real people. Seconded (or maybe more), the hexagon quilt is a real beauty. Excellent Blog Hop post. I'm so impressed by your hearts on your flags for Boston. Are they free motion quilted? I recently attempted hearts and getting them neat and symmetrical was tricky - hats off to you! Yay Hexies, those are definitely an ambitious first quilt, but oh so pretty! You have been so busy! Your quilt for the competition is wonderful, the colour combo really caught my eye - seems like a 'moving forward' type of quilt - it has a lot of movement in it! Best of luck!!! How nice to meet you! Good for you with all the balls up in the air...I am impressed you get any sewing done! And from this Boston girl, I thank you for the flags! Sorry I'm late visiting from the hop but happy yup made it! 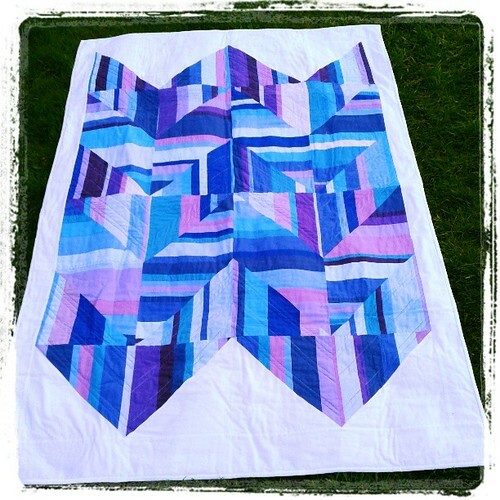 :) Wow - a hexie quilt was your first effort? IMPRESSIVE! I'm still bumbling through my first try at hexies and keep abandoning it. Your hexie quilt is amazing! I also like how you used the solids in your flags and competition quilt. Keep us posted so we know if you won something! I love your Hexi quilt and may have already left a msg but another just to say I love popping in to see whats up. 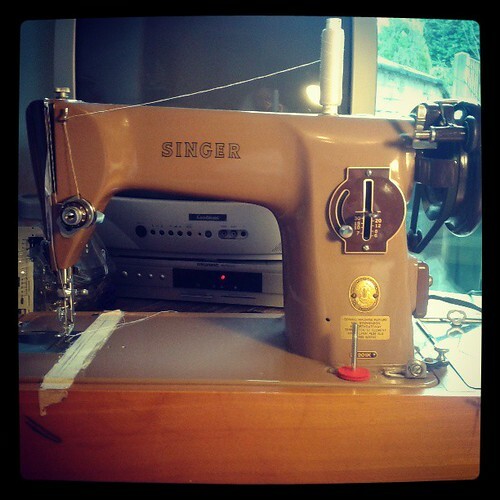 I think your very talented and lovely Lucy is my bloggy friend too! Your chevron quilt is amazing. Your colour choice is fabulous. OOOOOH! I always love to gawk at the lovely fabrics. Thanks for being a real person. I love your black and white quilt. I have been thinking about making a b/w quilt for sometime and yours gives me the bug again. Hey there, it's lovely to meet you! I am very impressed with your gorgeous quilts, that Hexie quilt is awesome! You really must get it finished ;-) As for your To Boston With Love flags, they really are stunning. It's such a special cause. And it sounds like your house is going to be amazing too, and you have such a pretty garden. Good luck with the renovations! Hello! The nature of my summer has prevented me from being diligent about my blog hopping with this fun group. This first week of posts was right in the midst of packing for a cross country move, so I'm now going back to say hello to those I missed. Your hexie quilt is lovely; very ambitious to do a hexie border as well. Your home sounds lovely. We love the outdoors and it would be great to be right next to a great outdoor area.